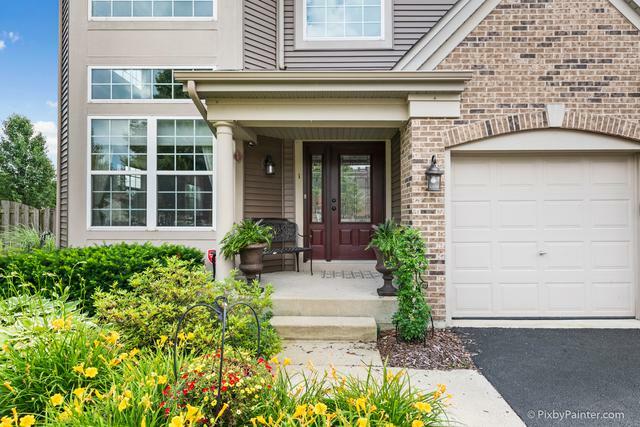 ~*ST.CHARLES SCHOOLS*~ D#303~ Trendy Windsor plan w/oversized fenced yard in Cornerstone Lakes! 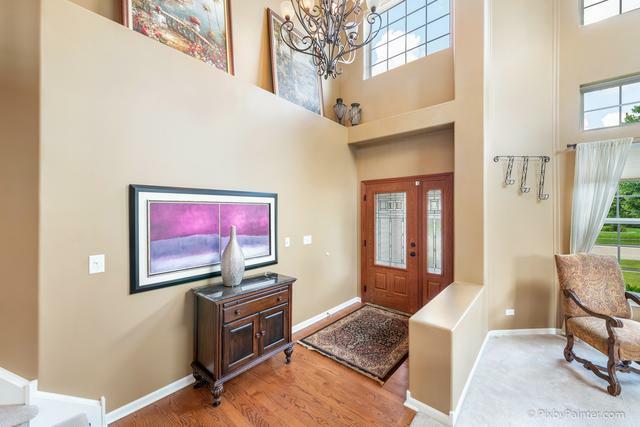 4 Bedrooms + 3 Full & 1 Half Baths + Den + Full Finished Deep Pour Basement + 3 Car Garage. 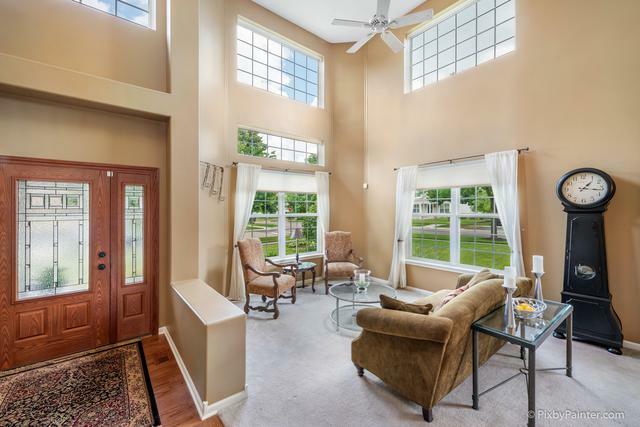 2-Story Living Room draped in windows draws natural light to Dining Room and throughout. The spacious kitchen has granite counters, island & planning desk w/lots of cabinets opening to Family Room w/fireplace. Den, Laundry Room & Full Bath complete the 1st Floor. Upstairs is large Master Suite w/sitting area, jacuzzi tub & separate shower & commode areas + heated floors! 3 additional bedrooms & Hall Bath complete this level. The full finished basement w/media & exercise areas has additional room, half bath (easily made full) & tons of storage. Enjoy the fenced back & large side yards from the brick paver patio. NEW: (2018) Nest, Ejector Pump, Under-Cab Light, (2017) Roof, Siding & Driveway, (2016) Water Heater, (2013) Hardwood Floors Foyer/Hall/Kitch/FR, Appliances & Kitchen Granite, (2008) Windows.